Domado hoy día 1/08/2016 en el servidor Tyrande sobre las 8:30 AM suele estar dando vueltas por la cueva mucha suerte cazadores! os dejo una guía de donde encontrarlo! A rare mechanostrider usually found in ironwing cavern. Some parts are colored blue and red, obviously a reference to optimus prime. Location is correct, it's roaming at high speed inside the cavern. I just killed it a few minutes ago and absolutely love this reference. I stumbled on this npc in the caverns, it dropped Jubón de sauce (arcane wrath). EDIT: To answer asherkobin's question "Do any of these rares have unique drops? ": no. Their loot tables consist of world drops and loot restricted to their specific types of mobs, such as Decoupled Coupling dropped by Optimo and 4 other low level mechanical mobs. Some of their drops may still be of great value for transmogrification despite being relatively common. This rare spawn uses the same model as a mount that was either available for a short time in WoW, or was never available at all. Sadly does not drop itself as a mount, nor is a mechano strider available in this color. Sad Engineer is Sad. Now that we are getting Mechanicals as hunter pets. this NEEDS to be one of them! I accidentally killed Optimo with my starter pet, and it respawned approximately an hour later. In case you get there, and he isn't up. 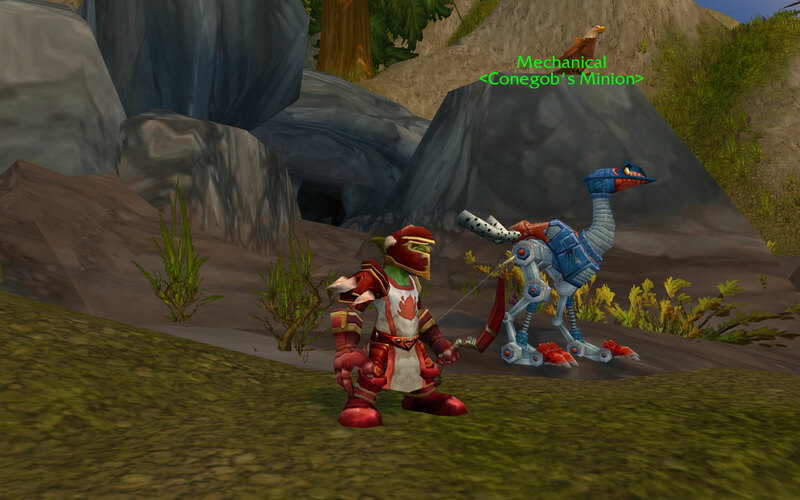 This rare spawn is located in Loch Modan and is on a 1-4 hour respawn timer. Optimo can be found in a cave at the southeast corner of the zone; the entrance is located at . It has a red and blue colour scheme, as pictured. An unpainted (metallic silver colouration, also tameable) version, Protocaminante, is plentiful in the same cave. Also in the same cave are mechanical chickens which can be tamed - Pollo de batalla ido. I just tamed him on beta. I expect this to be a hot camping spot for the gnomes come Legion. Somehow just tamed him on live about 4-5 hours after the realms came back up! Well, apparently he is normally a 1 to 4 hour spawn window? This was post patch 7.0.3, which added that (stupid) phasing / sharding crap. It took me a combined total of 14 hours camping him on and off. One dreary night, I logged on, walked around the cave, he wasn't up, so I decided to go to bed. But after I logged, I just had this itch / feeling. I logged back on, and low and behold, he spawned right in front of me upon logging back in. Tamed him, and now so excited! He's gorgeous. And now, to give him a name. Spawned right in front of my eyes, was one-shotted by a pandaren running through. I sat down and cried sad, sad gnome tears. He spawned for me at the first crossroad near the entrance to the cave. He quickly runs through the northernmost tunnel. That's where i caught him, so I don't know his route from there, but I assume he will run all the way to the end. Tamed mine today, he appears to be rushing out of the cave. This is completely anecdotal, but too coincidental not to share. I just went to Ironwing Cavern for the first time on my new Goblin hunter to see if he was up and he wasn't. I cleared out the whole cavern, scrapped each mob, made my way back to the front and within a couple minutes Optimo was the first mob to spawn. As soon as I tamed him the rest of the regular Proto-Striders and Battle-Chickens started to respawn. I've heard tales of clearing out mobs helping spawn rares before so maybe there's some to this. Just try to be cool to people questing in there who need the mobs. Este PNJ se puede encontrar en Loch Modan (24).